It has been known for many years that the glycosylated trophic hormones LH and FSH exert intrinsic thioredoxin-like activities.53 Thioredoxin uses a localized disul-fide bond to form mixed disulfides with cysteine-containing proteins, promoting either the cleavage of preformed disulfide bridges or the formation of cystine bridges from reduced thiols. Thioredoxin activity is usually measured by its ability to refold denatured RNAse, a property expressed by LH and FSH that is stronger than that expressed by thioredoxin itself. Both the a and p subunits of the hormones possess a similar localized disulfide bond that may be responsible for this catalytic property. The evident similarity of RNI and the receptors, the ability of RNI and RNAse to undergo disulfide exchange, and the abilities of hormones to interact with RNAse imply that cysteines and disulfide exchange may be features to be expected of glycoprotein hormone interactions with their receptors. The docking of hCG to a model of its receptor serendipitously places the labile ligand cystine adjacent to a cystine in the receptor. This may allow the thioredoxin activity of the hormones to be involved in some aspect of signal transduction (Figure 10.9C). The demonstration that thioredoxin has chemokine activity56 and that p-defensins interact with chemokine receptors57 implies, in the absence of any sequence or structural similarities, that the cystine bridges in these proteins are responsible for the chemokine receptor effects. Many peptide ligands have a constraining disulfide or two and at least one set is an absolute requirement for bioactivity. The most recently discovered peptide ligands are the vasoactive hormones, endothelin and urotensin, and they exhibit many of the characteristics to be expected from ligands that undergo disulfide exchange with a receptor, including protracted association rates that never attain equilibrium and the inability to dissociate from the receptor. Both of the endothelial endocrine peptides have receptor affinities (low pM) that are greater than those of most other peptide hormones and are markedly more potent than the in vitro biological responses engendered by that binding — the converse to most other systems. The protracted kinetics, the recalcitrance to wash-out from treated tissues,58 and the better binding than bioactivity potencies are all indicative of ligand persistence at the receptor through disulfide exchange between ligand and receptor. Whereas the exaggerated binding potencies are artefacts of an assessment that assumes equilibrium binding and a dissociable system,59 the "covalent" persistence at the receptor may well explain their remarkable efficacy. Endothelin is the most studied of the two peptides and receptor binding was recognized long ago to be extremely sensitive to redox. Indeed, 2D-PAGE of endothelin-receptor complexes confirmed the covalent attachment of the ligand to its receptor, which was prevented by prior blockade of free thiols in the receptor preparation.60 Preincubation of receptors with agonist (but not with antagonist) protected receptors from the alkylating reagents. Obviously, the receptor has a labile sulfhydryl group at or near the binding site that may undergo disulfide exchange with the ligand. Thus, redox capabilities are relevant to 7TMR-ligand interactions and signal transduction for small and large ligands alike, especially those with cysteines, but the receptors also have interactive cysteines that are especially important for monoamine binding and agonist activities, which appear to be modulated by the reductive potential of the ligand molecule. Cysteines are remarkable chameleon residues, but where is the specificity? Consider for a moment the serine residue. Nothing is remarkable about serines; they are considered to serve as the isostere for cysteine in SDM and VS (neglecting the redox switch potential of the -SH as opposed to the -OH group). Serine (and threonine) residues pepper the surfaces of proteins. However, put an innocuous serine at the edge of a hydrophobic pocket, adjacent to a histidine and an aspartate, and cleavage of a peptide chain can be achieved. 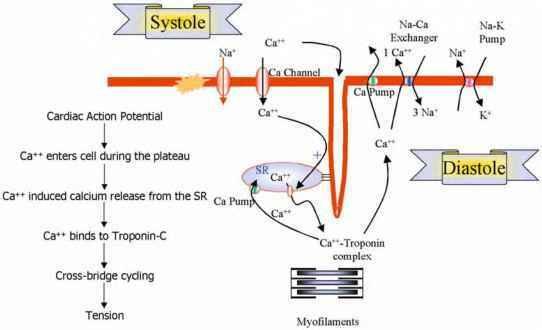 Indeed, caspases use this catalytic triad, only substituting the serine with a cysteine and, of course, these intracellular effectors of apoptosis, in response to oxidative damage, are under redox control. The microenvironment of the receptor creates the redox specificity and the most likely "hot spot" is the highly conserved, indispensable cystine bridge that locks retinal into its aromatic cage.